John Horvat II and Norman Fulkerson will hold presentation Oct 19. Internationally followed speaker and author of Return to Order, John Horvat II, and Norman Fulkerson, contributing editor of Crusade Magazine and the author of the award-winning book, An American Knight, will share their insights about how to end the socioeconomic divisions in the nation while revving up your patriotism. The event will take place Sunday, Oct. 19, from 2-5 p.m. with registration beginning at 1:30 p.m. It will be held at Olivia’s Restaurant, located at 3015 Baltimore Pike, Gettysburg, PA 17325. The cost is $12 per person, which includes light fare and beverages. A copy of each book will be raffled off and both books will be available for purchase and signing. John Horvat, II, vice president of The American Society for the Defense of Tradition, Family and Property (TFP) and author of Return to Order: From a Frenzied Economy to an Organic Christian Society will share his solutions for a better America. The book is the fruit of 20 years of research and is the backbone and doctrinal basis for this non-partisan, non-profit effort to help America return to order. “The key to learning how you can confront the nation’s problems is first to understand them,” Horvat said. 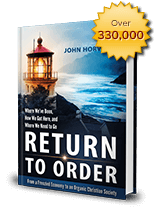 Horvat’s Return to Order was #1 on Amazon/Kindle in four countries in December, has sold 25,000 copies to date and has received dozens of endorsements. 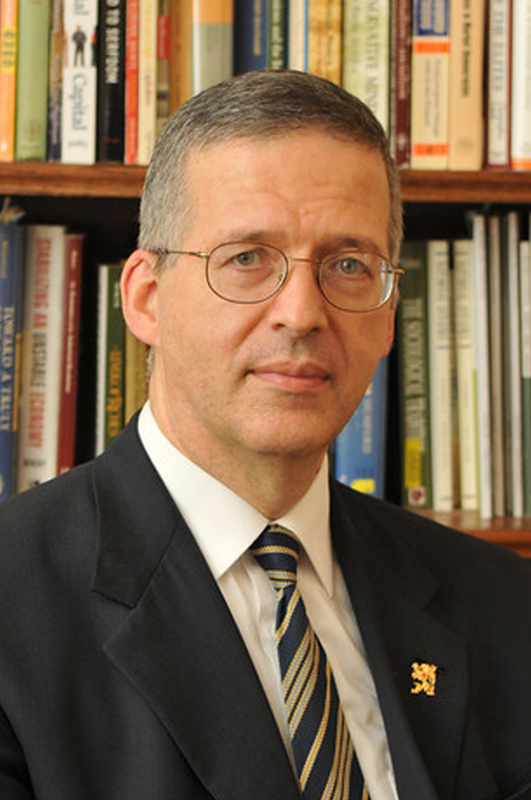 In addition to being a scholar, researcher, and international speaker, Horvat contributes regularly to media outlets across America such as The Wall Street Journal, FOX News, The Christian Post, The Washington Times, ABC News, C-SPAN, and TheBlaze.com. Following Horvat, Fulkerson will discuss “How Role Models Can Inspire the Family: The case of Col. John Ripley USMC,” which demonstrates how role models can change family dynamics, invigorate parents and inspire the hearts of teenagers. An American Knight, a Military Writers of America 2010 Gold Medal Winner (Biography), draws on Ripley’s achievements to inspire a hero-starved society to become true Christian Americans. Members of the media are encouraged to attend, and Mr. Horvat welcomes advanced or on-site media interviews. To receive an electronic media kit, a complimentary copy of Return to Order for review, or to schedule an interview, please call Linda F. Radke at 480-940-8182, or email fivestarpublications@gmail.com. This entry was posted in Featured and tagged book signing, Christian principles, economic crisis, frenetic intemperance, organic Christian society, Return to Order by John Horvat II. Bookmark the permalink.